I am very excited to announce that I will be a part of the Sorta Summit over at Distant Pickles! Basically for those of us that aren't able to attend the Sewing Summit this coming weekend Bree and Julie are putting on an online version of some classes taught by bloggers around the webosphere to give us a Sorta Summit experience! We are in the middle of getting all the classes put together right now. There will be a variety of different classes from garment sewing, quilting, blocks, etc. I'm excited to share with you the class that I will be teaching. It will be on my Rainbow Starburst String Block that I made for my Beejeebers Bee this past month. I got so many great comments from my readers and everyone in the bee loved the way it turned out, but some had some trouble with the bias, making me think that this a good class to teach to work through that issue but also provide a really cool block that you can use for not only a quilt, but even a mini or a pillow. I am in the middle of trying to figure out if I want to do traditional tutorial style with photos or trying and work in video (I've never done that before!) so I'll be testing some of that out. I hope you're as excited as I am and I hope you take part! It will all be happening about mid-November so stay tuned! I have finished up the first part, decided what to do and preparing a class description. 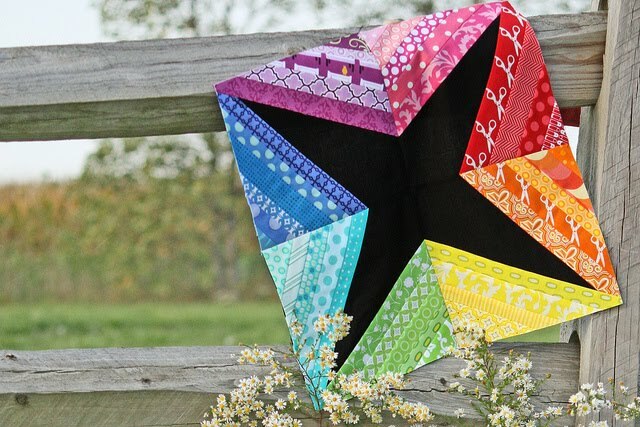 In this class you will learn how to put together the Rainbow Starburst String Block. This block finishes at 16.5 inches square so it can be used in a quilt, as a mini, or even as a pillow. This is an adaptation of Molly Flander’s block seen here with a couple of dimension adjustments, while also incorporating the use of color wheel. 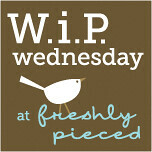 Come see how to use your scraps to create a stunning block while mastering foundation piecing on the bias! I will be sharing more with you as everything progresses but for now I'm excited to work on this W.I.P.! Such a cool block - and I love the idea of the "Sorta Summit" as it would be almost impossible for me to go to the real thing too! Such a pretty block! Love the idea of the Sorta Summit! Great idea and how exciting for you. Will be keeping an eye out for more details. How awesome! Thanks for blogging about the sortasummit. I'm really intrigued! The star is beautiful!